Eric Snow has always been low-key one of the most consistent and reliable guards since his days at MSU and especially holding down AI in Philly. 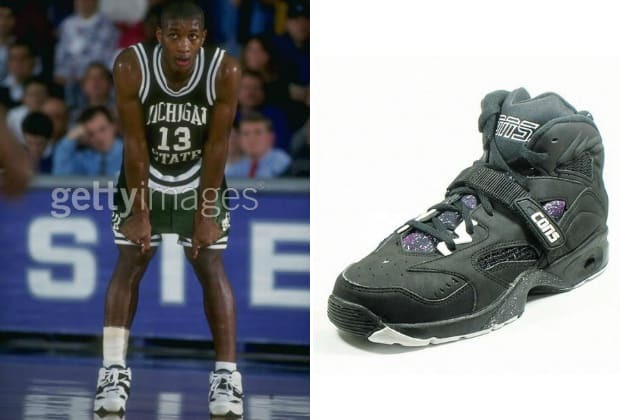 During the Spartans Converse era, "the Star" took things to a new level of design shortly after signing Larry Johnson. One of the kicks they put out was the Run' 'n Slam which took advantage of the forefoot strap hype and were featured on the feet of explosive Phoenix Suns guard Kevin Johnson (no relation).